So, when a price is too high—that is, above its market equilibrium—a surplus will result. When a price is too low—that is, below its market equilibrium—a shortage will result. Use the graph above to answer the following questions. Click on each question to reveal its answer: For each question below, interpret the graph and then click 'See answer' to check your answer. Would a price of $2.00 result in a surplus or a shortage? 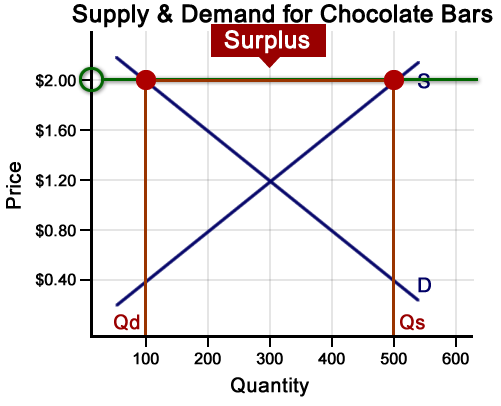 What is the quantity of the surplus or shortage? There is a surplus of 400. 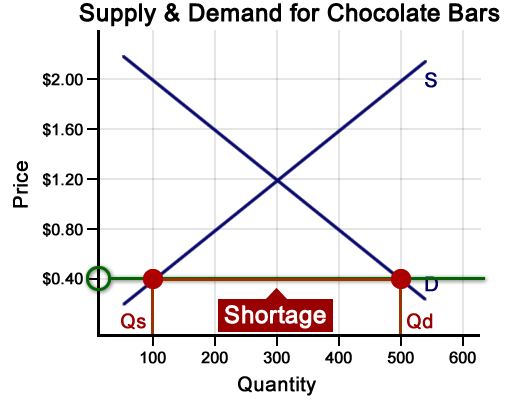 At $2.00 the quantity supplied is 500 and the quantity demanded is 100. Would a price of $0.40 result in a surplus or a shortage? There is a shortage of 400. 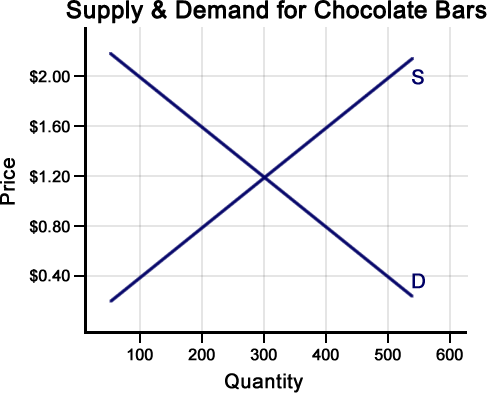 At $0.40 the quantity demanded is 500 and the quantity supplied is 100.